Indian claims of Surgical Strikes in Azad Kashmir have become a political dispute. Indian Prime Minister and his Cabinet is worried that how to prove such a great lie while Officers of Indian Military are also hiding their faces that how they deny the claims made by their own DGMO. The areas mentioned by Indian General targeted in the so-called Indian surgical strikes in Azad Kashmir and in the way he narrated the details of the crackdown of Indian commandos over launching pads of terrorists; this made Pakistanis worried for a moment as well. Moreover, after claims of India over attacks of Uri attack and the war environment created by India showed that India has deceived Pakistan but after rejection of Indian claims of Surgical strike by Pak army the demands to give evidence of the surgical strike were raised from Pakistan as well as from India. 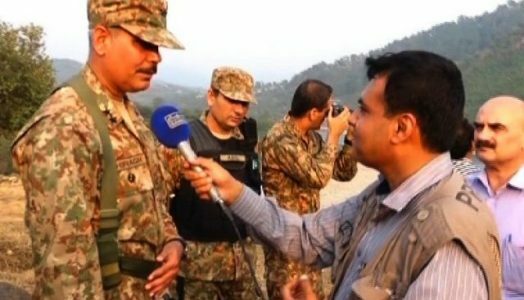 In the meanwhile on 01 October 2016, Lt General Asim Saleem Bajwa, DG ISPR, along with Pakistani and International media visited LoC and took them on such point from where they can themselves see the after effects of any attack or surgical strike. The representatives were astonished that on the one hand there is Indian Held Kashmir where they cannot get visa and even if they get the visa they are not allowed peep out of the selected areas while in Azad Kashmir they are standing on the LoC. They are free to ask questions from local people they also saw the Indian barbed wire wall and the areas under the control of Indians. Lt General Asim Saleem Bajwa, asked journalists that where are the launching pads of terrorists and the corpses of terrorists killed by the Indian soldiers in surgical strike? He told journalists that Pakistani army personnel deployed over LoC have recently been posted from Afghan border fighting against terrorists. They are ready and well groomed to defend motherland. If Indian soldiers dared to cross the LoC they will not return in one piece. India was not ready for any such reaction from Pakistan. Leaders of Congress party rejected the claims of surgical strike in Pakistan. Indian Defense Minister reacted that those demanding evidence of surgical strike are traitors. Rahul Gandhi alleged Modi for having made deal over the blood of Indian soldiers. While a Minister from Indian Cabinet asked Congress that do they have any doubt over Indian army’s capability. Member of Congress party and ex-Interior Minister Chidambaram alleged that tension over LoC and fake surgical strike are the drama and political tool of Modi for state elections in Uttar Pradesh (UP). When UP elections were mentioned, Opposition leader of UP and leader of Bhojan Samaj Wadi Party also criticized Modi for creating tension over LoC and creating war like environment so that victory of BJP can be ensured in the upcoming elections. In order to understand the link between India’s internal politics and violence against and its effect over Pak-India relations it is necessary to have a bird’s eyeview of UP’s politics. UP has 40% population of lower class Dalit Hindus, Barahmans, Thakur etc of upper class are 25% of the total population; in this way Hindus consist of 59.37% total population. 1.01 % are Sikh and Budh while Muslims are 40% approximately. 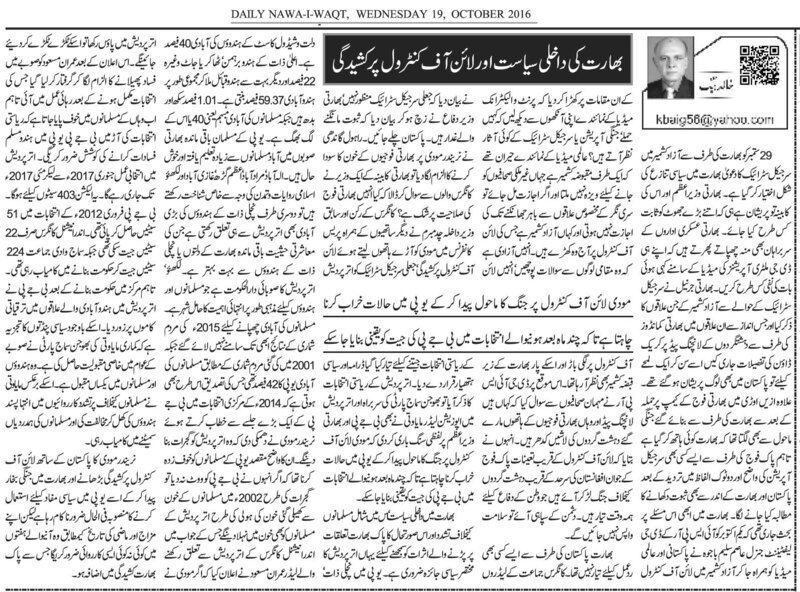 The Muslims of UP are more educated and prosperous than Muslims of other provinces. Allahabad, Muradabad, Azamgarh, Ghaziabad and Lucknow are famous for having specific identity as Muslim cities while on the other hand the lower class of Dalits are also in majority being prosperous of Dalits in rest of India. 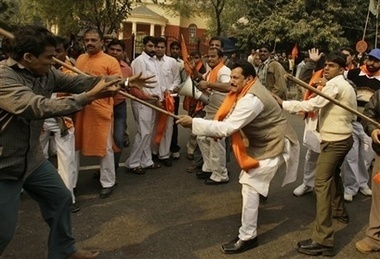 Lucknow is the provincial Capital of UP which has special religious for Muslim and Hindus. In order to hide the Muslim population the results of 2015 census have not been yet announced. While the Muslim population in 2001 census was 42%. Addressing central elections in 2014, Modi said that he will make UP another example of Gujarat. The purpose of such statement was to frighten Muslim that if they do not cast their vote for BJP, Muslims of UP will be slaughtered just like Muslim of Gujarat. As a reaction to this leader of Indira National Congress Imran Masood announced that if Modi stepped into UP than he would be stripped into pieces. After this Imran Masood was arrested under the allegations of fueling riots in the province. He was released after elections. Now Muslim of the UP have the threats that under the umbrella of state elections, BJP would attempt to target Muslim. 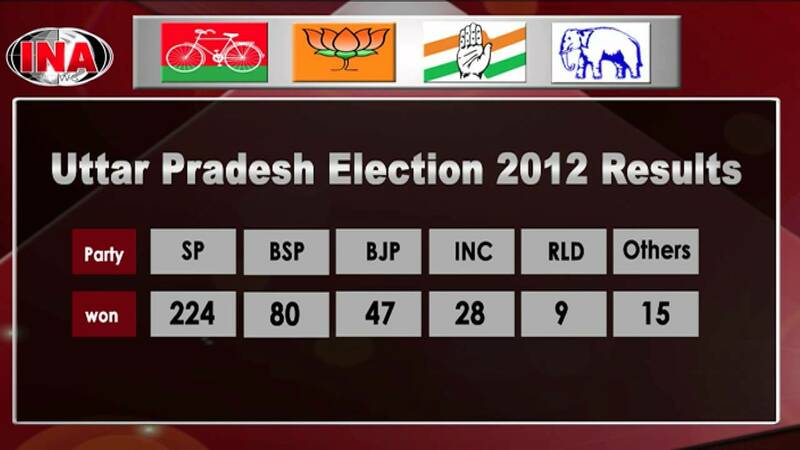 The elections in UP will continue from January 2017 to May 2017 for 403 seats. 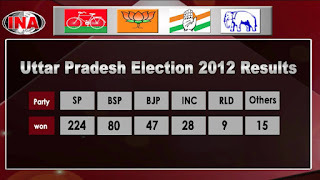 BJP secured only 51 seats in February 2012 elections. Indira National Congress secured only 22 seats while Samaj Wadi party won 224 seats and formed the govt. 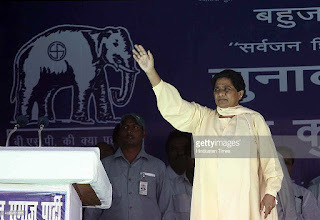 Being in power in Center, BJP has completed many development projects in Hindu inhabited regions, however, political analysts are of the view that Kumari Maya Wati of Bhojan Samaj Party has become much famous equally among Hindus and Muslims. She openly criticized extremist Hindus and won support of Muslims.